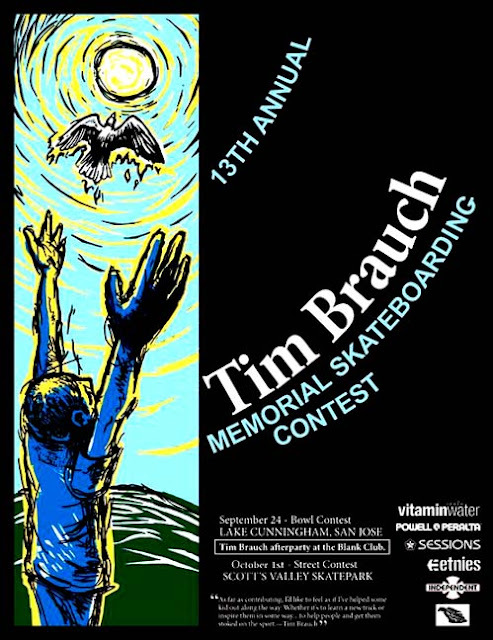 For the past ten years, Sessions organized the Tim Brauch Memorial Skateboarding Contest in memory of Tim Brauch, one of the most respected skateboarders and beloved Sessions' team rider of all time. His love for skateboarding, friends, and fun inspired everyone who met him. Tim Brauch was a local skater from San Jose, California. By the age of 15 he was sponsored by the Sessions. He quickly climbed the charts of skateboarding soon being ranked 5th in the world. Sadly his life was cut short by sudden cardiac arrest on May 9, 1999. The Tim Brauch Memorial fund was created in his honor to promote his dreams of giving back to the community and getting kids active. As usual for the contest, the list of the competitor reads like a who’s who of skateboarding: there are over 50 names set to compete in the Pro and Masters Invitational alone including Chad Bartie, Kyle Berard, Charlie Blair, Josh Borden, Steve Caballero, Kalani David, Dalton Dern, Sandro Dias, Anthony Furlong, Benjamin Galloway, Chris Gentry, Rune Glifberg, David Gravette, Omar Hassan, Ben Hatchell, Tony Hawk, Aaron Homoki, Christian Hosoi, Ben Johnson, Tim Johnson, Willis Kimbel, Kevin Kowalski, Andrew Langi, Bucky Lasek, Rion Linderman, Andy Macdonald, Tyler Martin, Josh Mattson, Brad Mcclain, Chris Miller, Zach Miller, Mason Merlino, Lance Mountain, Tyler Mumma, Nolan Munroe, Michael Owen, Michael O’friel, Mark Partain, Collin Provost, Chaz Pineda, Murilo Peres, Steven Reeves, Ben Raybourn, Joshua Rodriguez, Mike Rogers, Josh Stafford, Sky Siljeg, Alex Sorgente, Tom Schaar, Josh Stafford, Sergie Ventura, and Paul Wisniewski. One of the world's oldest bowl contest, this year's Session's Tim Brauch Memorial Skate competition is being broken down into two weekends instead of the traditional one weekend: The Street Style Contest will be October 1st , 2011 at the Scotts Valley Skatepark in Scotts Valley, California and the Bowl Contest will be held on September 24 at Lake Cunningham in San Jose, California. 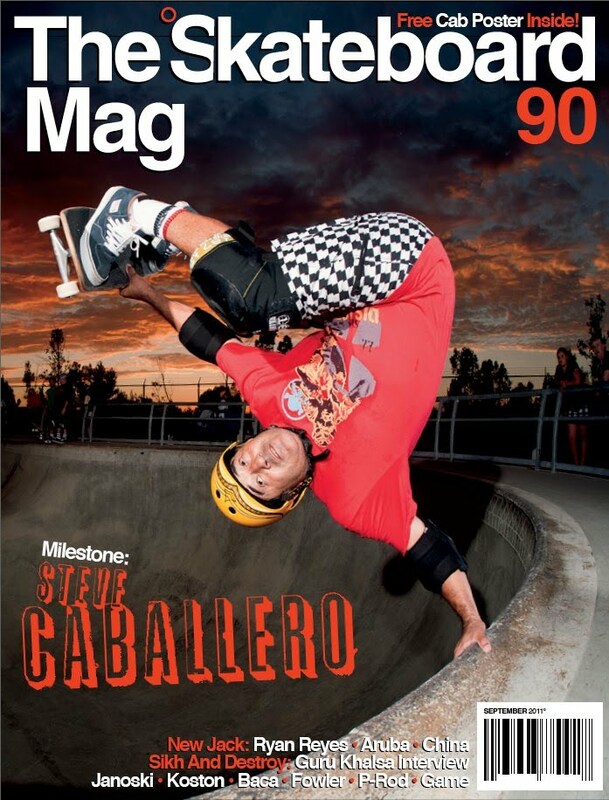 Steve Caballero on the cover of the Skateboard Mag at Lake Cunningham. Photo Potwin. The second contest will be held Twenty Six miles away from Lake Cunningham; on October 1st, 2011 on a skate park built in 1999 with funds from the Tim Brauch Memorial Fund: the 20,000 square foot Tim Brauch Memorial Scotts Valley Skatepark located on 361 Kings Village Road in Scotts Valley , California. This contest will be for kids and amateur skaters and is specialized in Street. 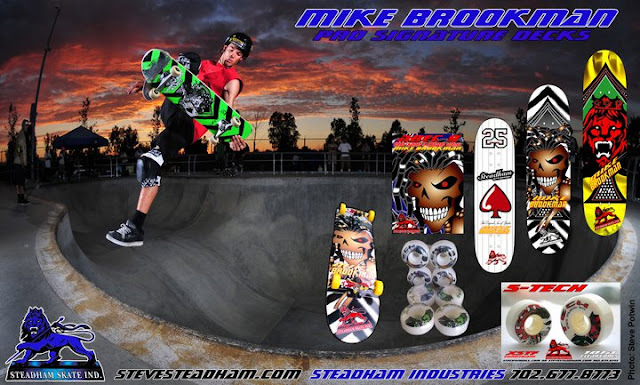 In 1983, a retail shop was started in Northern California, when the world of skateboarding was introduced to plywood ramps and street style skating and opened the first skateboard and snowboard retail outlet. Sessions is now a leading action sports company that designs, merchandises, sources, and distributes high performance snowboard apparel, accessories and apparel for the core, youth‐driven sports segment. Today, Sessions has placed itself within the realm of music, snowboard and skateboard culture. Learn more about Sessions at www.sessions.com or find them on Facebook/Sessions Snow Outerwear and on Twitter/Sessions Snow. The Tim Brauch Memorial Fund (TBMF) is an independent scholarship fund and skateboard park development fund established in 1999. The fund was created to continue to keep giving back to the kids and the sport of skateboarding that Tim loved so much. 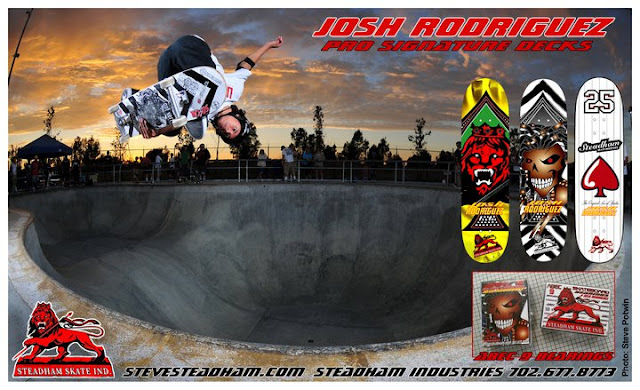 By giving scholarships and donating to skateboard park development we are promoting kids to be active outside. The TBMF vision is that through skateboarding kids will develop discipline, confidence, motivation, and other traits that encourage success.